The science of why swinging on a swing brings us pleasure is related to our sensory processing and our vestibular system that has to do with balance and movement and is centered in the inner ear. This sense allows us to maintain our balance and to experience gravitational security. When developed we’re confident in our ability to maintain a position without falling. The vestibular system allows us to move smoothly. It also works right alongside all of our other sensory systems, helping us use our eyes effectively and process sounds in our environment. As infants, our parents may have put us in a baby swing. The motion lulled the infant to sleep. Toddlers like swinging, and it helps them develop motor skills and eye-hand coordination. As they grow and their confidence grows, they discover swinging on their bellies or sitting on the swing and twisting it around to let twirl in the opposite direction. All those simple childhood activities played a part in developing confidence. Participating in a variety of activities helped us to become more confident. We learned how to control movements. We graduated to climbing, somersaulting, and jumping. We developed the confidence to start and stop movement calmly and with control. Some of us became comfortable with climbing, swinging, somersaulting, and jumping, knowing that our body would adapt and that we could maintain our balance and keep us from falling or getting hurt. 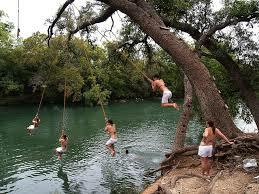 As teens, we may remember the local swimming hole where you swung from a tire swing in a tree and jumped off into the water. Sitting on a porch swing with a girl/boyfriend. The tire swing under a tree. 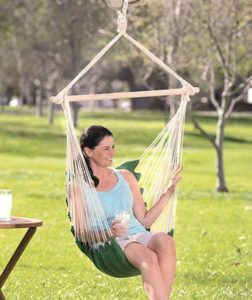 Favorite summertime activity is swinging on a hammock. Benefits of swinging on a swing. It’s a good exercise. For every hour you swing, you burn 200 calories. You feel like a kid again. Swinging can benefit your mental health. 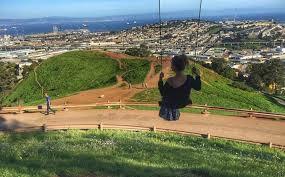 You tend to feel good, thrilled and happy after swinging for a while in the fresh air. Studies suggest that swinging can even benefit children suffering from autism. The best thing about swinging is. it doesn’t look like a workout. It looks more like a recreational activity. Twenty minutes of swinging works like a reasonable workout. There are variations in swinging–standing position and sitting position etc. keep your legs straight or try any other variation that engages your whole body. Make sure that you hold the chains firmly while swinging. Test the swing before you use it as any damage in the chains can be hazardous while swinging. I like swinging because it invokes memories, pleasant memories. Yes as a child it was all play and fun: My first kiss from a boy was while sitting on a swing. Sitting on the swing at my grandmother’s curling up with a good book. Lazy summer afternoons sitting in a swing listening to a baseball game. After I married and had children, I remember sitting on a swing holding one of the boys and swinging. Now I have grandchildren, and I still enjoy swinging more than ever. I’m making more memories with them. I bought my son a swing from the Hammock store in Duck, North Carolina. We made a deal. I would purchase it, but he would install it at his house so that when I babysit the kids, I get to use it. We swing from spring to late fall. We grab a blanket and the three of us cram onto the swing and swing. I’m asked to tell a story–my granddaughter loves stories with witches. Oh, the stories are not from a book, I have to make them up with my “mouth.” (I think she means from my mind). When either one of them is upset about something they come to me, and we sit in the swing. My granddaughter will calm down immediately as we swing and I sing Somewhere Over The Rainbow. 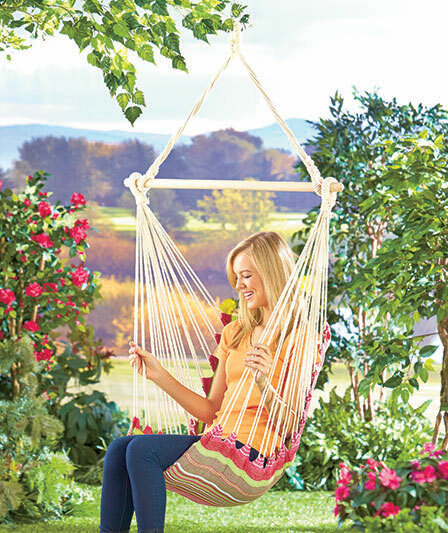 Something so simple as a swing is a treasure trove of beautiful memories. What memories does swinging invoke in you?